HVAC units are very expensive pieces of equipment so it’s not surprising that people go to great lengths to take good care of them. Unfortunately, some people end up doing more harm than good to their units because of several misconceptions about proper HVAC maintenance. Our experts shed some light on these common HVAC myths that you should stop believing. The filter is designed to prevent dust and other particles from clogging up the air conditioning unit. Over time, the dust can completely block the filters, severely affecting the unit’s energy efficiency. Experts recommend having the filters changed on a monthly basis to avoid filter-related problems. Covering the outdoor units during winter seems like a good idea because it prevents snow from getting in. However, doing that can actually cause more harm than good because the covering could trap in moisture and cause the unit’s components to corrode. HVAC repair experts recommend just putting a board over the unit so moisture can still evaporate harmlessly. Many people assume that leaving the air conditioning unit at a higher temperature setting is more energy-efficient than completely turning it off. We’re not sure how this myth started, but we’re certain that shutting the unit off uses much less energy than running it even at its minimum settings for an extended amount of time. Many people think that their air conditioning unit can cool their rooms faster if they start with the lowest possible temperature setting and then adjust the temperature back to their desired setting. However, HVAC systems are designed to cool the air in a constant state. In fact, switching from an extreme setting and then back to your desired setting only puts unnecessary stress on the unit, not to mention consumes too much energy. Air conditioning repair experts recommend keeping your unit at your desired temperature from the start. Learn more about proper HVAC maintenance from the pros. 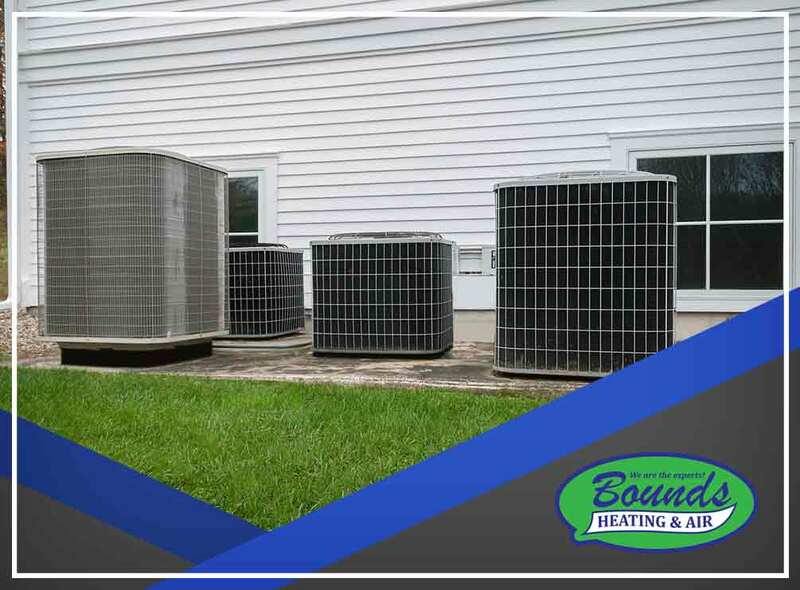 Bounds Heating & Air is a leading HVAC company serving clients Lake City, FL, and other parts of Florida. Call us at (352) 472-2761 or fill out this contact form to request a free quote.